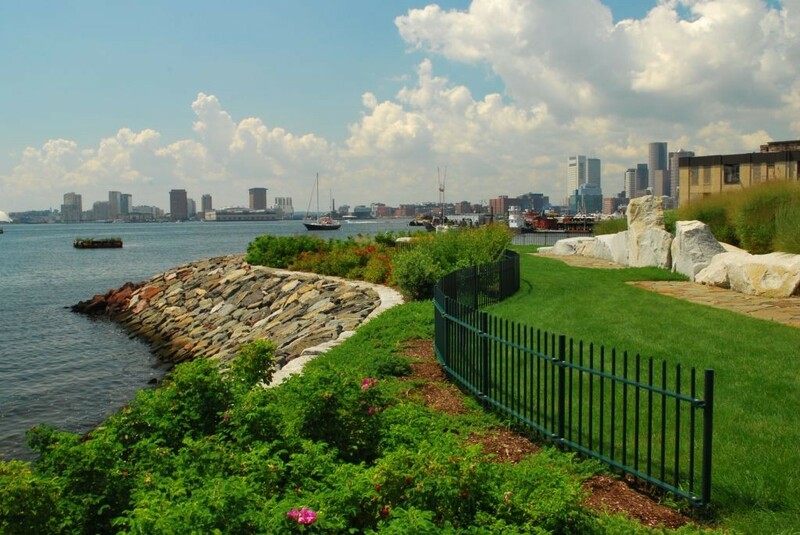 For the Massachusetts Port Authority, CRJA-IBI Group led a multi-disciplinary team in the design and construction phase services for the Navy Fuel Pier Airport Edge Buffer in the Jeffries Point neighborhood of East Boston. 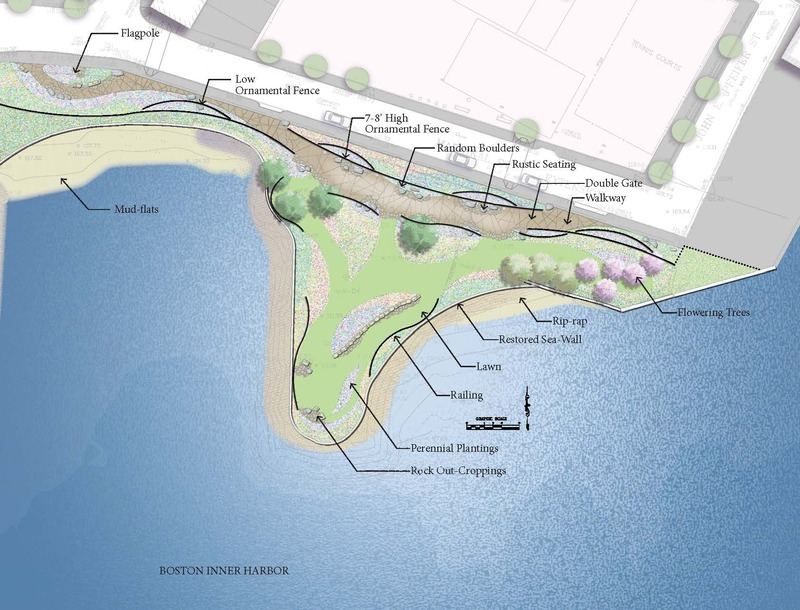 The project is one of four Airport Edge Buffers committed to by Massport, and provides a waterfront vegetated edge buffer accessible by the neighboring community for use as passive open space. The project included a community review process, as well as environmental permitting due to the project site’s location within a Coastal Zone Management Designated Port Area. 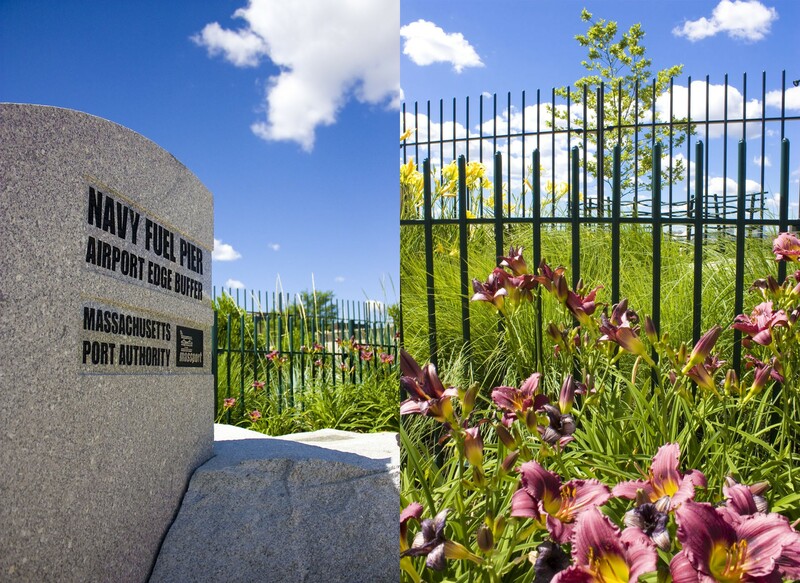 The Massport Navy Fuel Pier Airport Edge Buffer project entailed rehabilitation of a 1.6 acre former marine industrial site and 1940’s era Navy vessel re-fueling pier located along the Marginal Street Extension in Jeffries Point. 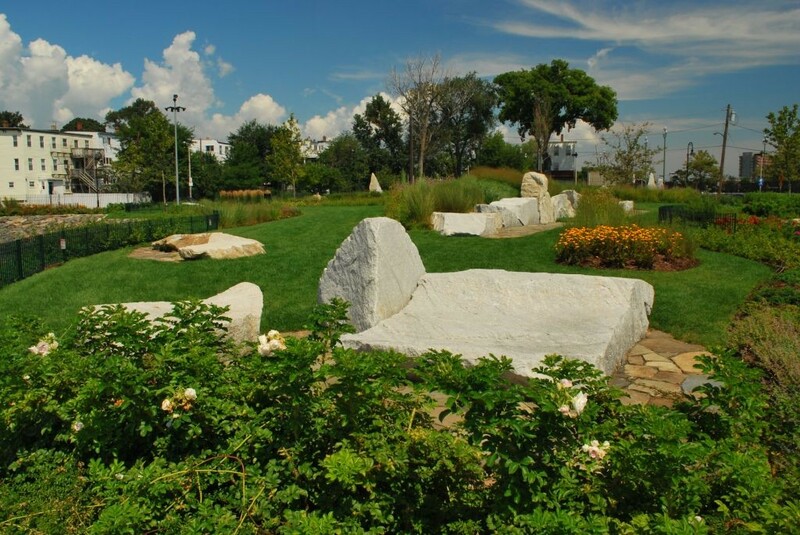 The new park features plantings, fencing, a public walkway along Marginal Street, site lighting and public seating. Debris removal and bank stabilization measures along an existing armored coastal bank were also implemented.